Innity is an ad network with a self-service media platform. Arshan Saha, Regional Director, SEA, Innity discusses the challenges and opportunities in an evolving landscape and how ad exchanges and RTB will introduce efficiencies into the market. Here he also discusses the emerging trends in online video, mobile, RTB, rich media and socially enabled ads in the SEA region. Can you give an overview of Innity and its offering across the APAC region? Innity is an integrated online media network that provides scalable online marketing solutions and services for advertisers and publishers. Established in 1999, Innity has a strong foothold in the South East Asian market spanning over 10,000 websites, including major newspaper portals and premier sites in more than 16 content interest channels such as technology, lifestyle, automotive, business and entertainment. Innity’s solutions provide a combination of the best features of rich media and performance based marketing catering to some of the world’s largest brands and advertising agencies offering a a variety of engagement based advertising formats and innovative payment models. Innity is the first and only fully transparent ad serving system in Southeast Asia that is IAB certified. How is Innity differentiating itself from its competitors? a) Innity is an efficient ad network offering a wide range of interactive marketing solutions such as Online ad network, Wi-fi ad network, Mobile ad network, Self-service media platform and Performance engagement based advertising solution along with flexible payment models such as CPE, CPM, CPC and CPA. b) Innity is an innovative ad network and a market leader – we were the first in the APAC region to introduce CPE, retargeting and we are the only fully transparent ad serving system to be IAB listed. c) Innity is a creative organization providing the best features of rich media and pay for performance marketing. Innity has unique proprietary ad formats as well as adopts IAB ad formats that are recognized to be industry standards. How developed is the ad network market in the region? Do ad networks have access to similar sized budgets as they do in the US and Europe? The ad network market in Southeast Asia is growing rapidly due to the increased adoption of mobile and broadband within the region. However, marketing budgets for ad networks do continue to be considerably less than what is allocated in the US and Europe. The main reason for this is that marketers still have reservations about the online medium and are yet to completely understand the benefits of the same. In Southeast Asia specifically, according to a recent ComScore report on ad networks within the region, Innity reaches the largest number of internet users in Indonesia and Vietnam and in Singapore and Malaysia, reaches out to the second largest number of internet users after Google. Additionally, according to Effective Measure, Innity reaches out to the largest number of internet users in Thailand. Are online media budgets representative of online populations in APAC? Currently, there is an imbalance between the two due to factors such as the need for more quality talent in this sector within this region, the slower adoption rate of broadband in comparison to the West and the greater need to educate clients on the benefits of “going digital” and convert them into believers of the same. However, as marketers are gradually seeing the benefits of advertising online, increasing budgets are shifting to this medium more and more and this is only set to grow further in the near future. How much do media buying strategies vary across the different APAC markets? Media buying strategies vary across markets based on how digitally savvy both publishers and advertisers are. This is also dependant on whether advertisers buy based on duration or based on CPM aside from determining whether their strategy needs to target buying into an audience or site-based buying. What challenges do advertisers and agencies face in buying online media in terms of transparency and brand safety in APAC? Innity specifically has deployed AdXpose’s data and analytics solution. With this, we are able to guarantee increased transparency, accountability and safety with regard to ad placements for our clients while improving campaign performance and providing sophisticated tracking techniques. Has the arrival of international platforms like Google and Facebook, YouTube had much impact on media buying strategies in the APAC region? Most definitely, as these platforms have introduced new ways for marketers to buy, a larger audience to target using different tactics along with innovative ad formats. How common is behavioural targeting/audience buying? Are agencies and advertisers buying into the potential? What is Innity’s offering in this area? Behavioral targeting is growing at an exponential rate due to the increased adoption of the same by marketers. According to eMarketer, behavioral targeting will increase to $4.4 billion by 2012 up from just $775 million. One of the biggest drivers for behavioral targeting is the growth of online video. With the rise in adoption of video, advertisers are increasingly using behavioral targeting to target ads and make media buys more efficient. Innity currently offers an innovative retargeting solution to its customers and is developing other behavioral targeting solutions that we will be announcing shortly. There’s been a lot of debate in Australia recently around whether or not ad exchanges will commoditise publisher inventory, resulting in downward pressure on CPM prices. 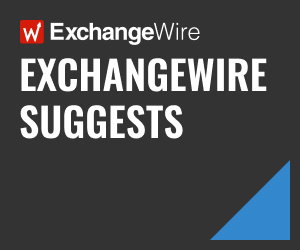 What’s your view on exchange trading in the APAC region? It is inevitable that Exchange trading will come into play in the APAC region however, currently, the market specifically in Southeast Asia, will need to make some adjustments in order to enable this to flourish. With advertisers not enabling tagging of their sites, publishers selling by duration and agencies still in the process of forming digital teams and strategies, there is a long way to go. Does Innity have an exchange strategy? Are you likely to work with exchanges, DSPs or Agency Trading Desks? Those of us operating ad networks exist within a continually evolving space, this has always been the case and certainly shows no signs of slowing down. The emergence of Exchange/RTB/DSP is merely a part of that evolution and helps in creating greater efficiencies. There are many similarities between the role of established ad networks and DSPs in terms of handling media, targeting audiences and optimizing campaigns. We believe most ad networks will be equipped and integrated with Real Time Bidding (RTB) technology in the near future. Ad networks which can provide a more efficient method to bring Premium inventory into the new ecosystem will see a vibrant future. In terms the automated buying across exchanges and SSPs is APAC far behind Europe and the US? How developed is the third party data market? Is Innity doing much in the data space – are you leveraging first or third party data to deliver more value for advertisers? The APAC market is still behind Europe and the US however, you never know when this region will suddenly catch up with these countries. Currently, there isn’t much third party data in the market. In fact, even first party data such as publisher audience data is not being utilized effectively. Innity will leverage on first party data and looks forward to potential third party data providers to enable us to improve our targeting and optimization strategies. What trends are we likely to see in the display market in APAC over the next year e.g. video, mobile? Socially enabled ads revolve around engagement and not CTR – essentially, the trend of moving beyond the click. With these ads, there is usually a space on them containing links to the brand’s social networking pages such as Facebook or Twitter thus enabling enhanced interaction with the brand. With players such as Facebook and Foursquare allowing you to “check-in” to places and with Groupon having local coupon based services, marketers are able to communicate specifically with an audience in a given geographic region. This mobile based advertising trend is set to surge dramatically in 2011 allowing local retailers to take advantage of this technology while geographically targeting their customers. Mobile advertising has been spoken about extensively over the last few years however, 2011 will be the year when this trend actually takes off. With an increased array of smart phone choices such as the iPhone and Android handsets and the invention of devices such as the iPad, this industry is set to grow significantly. The demand for proprietary and high impact ad units has seen an enormous growth in 2010 from media buyers and this trend is set to continue in the next year. These formats provide advertisers with a creative executive that is able to attract the attention of viewers. The only challenge involved in deploying these is that additional resources are required to execute this from a creative viewpoint and hence, it is very important that you work in with a company that has the experience and wherewithal to help you with this. With video set to be third largest online ad format by 2014 according to eMarketer, it is no wonder that is a part of this list. During 2010, video advertising matured into a real product for many publishers, and we believe this trend will continue in 2011. For publishers, having key quality content is essential when talking about video ads. For advertisers, the emotional appeal of the ad is what will set one ad apart from the rest. A theme that made waves last year and continues to grow this year is Real-Time-Bidding or RTB. RTB, through online advertising exchanges, has secured a place in the future of digital advertising. The advantage of RTB on ad exchanges is that it provides ad networks with a method to target each individual user to take advantage of the rich user data collected by different ad networks, publishers and others. Additionally, RTB allows buyers to make changes to their buys in real time. By enabling buyers to make real-time decisions on an impression-by-impression basis, they are provided with a higher degree of control. The RTB technology holds great promise for advertisers and publishers.